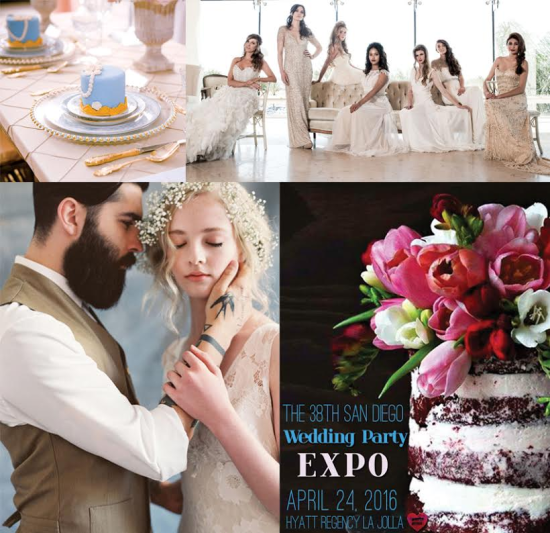 The upcoming Sunday, April 24th Wedding Party Bridal Show, Southern California’s largest elegant bridal show, is full to the brim with lots of wedding party fun including incredible couture fashion shows and tons of the finest wedding services. Also, showcasing the incredible designer Adolfo Sanchez fresh from New York and LA Fashion weeks who will showcase his 2016 Bridal Collection on the catwalk and be at the show in person! April 24, 2016 from 1pm to 5pm at the Hyatt Regency La Jolla.